Due to popular demand, we at Bloom Digital have installed a fresh new skip button just for you! 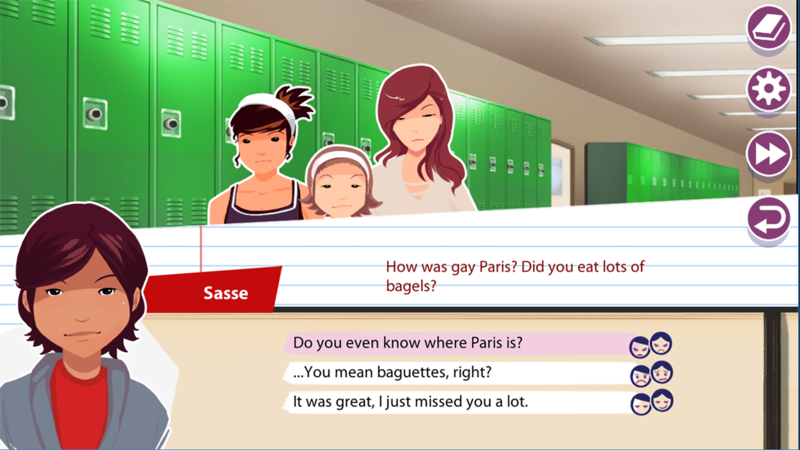 This button allows players to skip over text until they reach the next dialogue choice. Sometimes you make the wrong choice but why should you be stuck with it? Well now with our newest update we placed a back button to give you a second chance! You can use the back button to undo your most recent recent choice and return to the prior dialogue. Sometimes in life you just need to take a screenshot of what's going on to save the moment. In LongStory you can! With our newest update we have a built-in ability to take a screenshot (using the 's' key) so you can send it to your friends and ask what they think. In our latest update we have included a number of bug fixes as well as security updates to ensure the latest and greatest and most enjoyable player experience.